JEMEZ MOUNTAINS: Located in Northern New Mexico, an hour to 1.5 hours from Albuquerque, 1.5 hours from Santa Fe & more or less next door to Los Alamos. 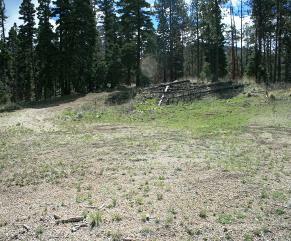 The terrain varies from high desert to high mountain pines with various rivers and creeks. Click on the links on the left for the current properties available. Each page of listing has thumbnail photos, click on those photos and it will send you to larger photos and more information. Go to the following link https://maps.google.com, type in Jemez Springs, NM and you can get the map and satellite view of the Jemez. Download Google Earth; once downloaded, type in the address of my listings and it should upload with a satellite view of the home and area. Click on overall map for an overall map of the area. For more information of the area, check out Jemez Springs. While perusing my web page you will notice that I joke around a lot but please be aware that I am very aware that you are about ready to make your first, second or third most biggest investment in your lifetime and I take that seriously but at the same time we can make it a fun time. Email me at robrore@valornet.com if you are looking for a specific property. I will do my best to find that special home, cabin or tract of land for you. If you have any questions, please do not hesitate to call or email me. IF INTERESTED IN SELLING, PLEASE CALL FOR A FREE MARKET ANALYSIS. I am open on weekends but call me for an appointment; if I am not here, please leave a message or call Sam. We WILL call you back. If you are in the area and try to call us from a cell, make sure you are leaving a message; you cannot believe how many garbled calls are left on my answering machine. When leaving phone number, “please state it slowly and clearly and state it twice”. Click on location to find my office and a brief insight into my credentials. Colored hyperlinks have a sale pending or sold on them.